Foy — miles away from her role in “The Crown” — drops the tiara and picks up a taser as the latest Lisbeth Salander, the aforementioned hacker. 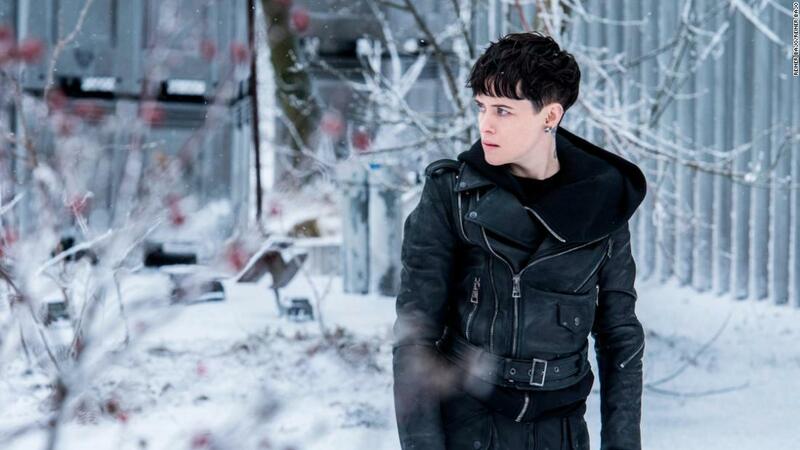 The film comes seven years after the U.S. version of “The Girl With the Dragon Tattoo,” which itself followed a trio of Swedish-language movies adapting the late Stieg Larsson’s books. Working here from another story written by David Lagercrantz, who assumed authorship of the series, the plot begins with a flashback to Lisbeth’s dark youth and the life she escaped, before jumping to the present, where she’s shown dispensing her own brand of justice. Enlisted to help an inventor (Stephen Merchant) who has created a dangerous computer weapon, Lisbeth suddenly finds herself in the crosshairs of a very bad, ruthless cabal. While she’s not the kind to grow overly attached to people or possessions — including, fortunately, her apartment — she vows to “take back what he stole from me,” a decision with ominous consequences. Directed by Fede Alvarez (from a script he adapted with Jay Fasu), this “Spider’s Web” is aptly named, inasmuch as there are several strands that unspool simultaneously before gradually coming together. Those include the journalist Mikael Blomkvist (Swedish actor Sverrir Gudnason), who seeks to assist Lisbeth; and an American national-security agent (Lakeith Stanfield), who journeys to Stockholm seeking to recover the stolen item for the U.S. Nothing here feels especially fresh, but the action clips along smartly, with Salander using her hacking skills in wildly creative ways, when she’s not inflicting punishment — or once again, absorbing it — from the villains, whose backstory is also woven into hers. Even with the bleak Swedish surroundings the film has sacrificed some of the texture that distinguished prior adventures, but compensates for that with Foy’s flinty performance, in a role that — especially contrasted with her other current showcase in “First Man” — provides a pretty impressive demonstration of her range. Of course, relaunching franchises is never a slam dunk — this year’s “Tomb Raider” relaunch comes to mind — and there’s a small-boned feel to this latest incarnation, which, other than Foy, features more firepower than star power. At the very least, Foy’s insertion into the franchise works, in a vehicle that delivers enough of the requisite thrills to be eminently watchable. That’s a reasonably good start, if not necessarily an assurance that we’ll see this “Girl” again. “The Girl in the Spider’s Web” premieres Nov. 9 in the U.S. It’s rated R.